#FreebieFebruary from your Kay Botanicals – What to expect? What is February famous for? Well, the whole world knows it is for love. Apart from that, the month of February is kind of special since it falls between winter and summer. This month is pretty much special when it comes to businesses since they offer love to their customers in the form of offers and discounts. On the same note, Kay Botanicals provides Kratom offers on every month of the year based on certain criteria. When it comes to February, it is all about Freebies at Kay Botanicals. Hence this month is called Freebie February. Kratom is a natural plant drug that is derived from the leaves of the tree Mitragyna Speciosa. Kratom has been a familiar name even before centuries where people used to chew on this herb for its medicinal and recreational properties. This very plant is predominantly found only in the Southeast Asian countries where the soil, climate, and other factors favor its growth to a large extent. 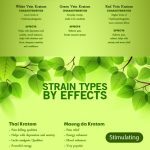 The powerful alkaloids in Kratom leaves are known to influence the delta receptors of the human brain, thereby providing pain relief and stimulating properties. The huge demand of Kratom in the West saw many online sellers popping into the picture. One of the most trusted online sellers is Kay Botanicals. Kay Botanicals is committed to providing high-quality Kratom to its customers at affordable prices. Kratom products are produced by getting the best leaves from indigenous farmers of Thailand, Malaysia, and Indonesia. It is followed by the procedure of processing the raw materials into consumable products. Today, with many people thronging to Kratom and Kratom products, Kay Botanicals aims to serve them with utmost customer satisfaction. This is an important section of their agenda. They aspire to open the gate of good health and wellness to happy customers without any negative effects. This is the main reason why Kay Botanicals has introduced monthly offers for customer satisfaction. Every month is associated with specific offers that are distinct from one another. When it comes to the month of February, it is all about freebies. At, Kay Botanicals, February is a month to celebrate for all Kratom lovers. Yes, under the #FreebieFebruary offer, you tend to receive free shipping on all Kratom orders and purchase. Also, the bonus is that you can even avail free shipping for single day delivery. Isn’t that a great offer? This offer comes in as a relief to people who are concerned about high shipping costs. Some vendors impose heavy shipping costs which makes it very uncomfortable for customers. Hence, Kay Botanicals has dedicated one full month to avail free shipping charges with their services. Apart from the free shipping charges, you can also use certain promo codes during this month to get extra Kratom products for free. For example, you might end up getting a Maeng Da extract as a freebie on any purchase of Kratom products above 75$. Sometimes, Kay Botanicals also brings in the Buy one get one free tag, whenever possible for enhancing customer’s delight. How to avail of this offer? The process is very simple since the vendor site is completely user-friendly. All you have to do is add the Kratom products of your choice to the cart and then proceed to the next level. On the next step, you will have to enter your billing information which might include your name, email and postal address. On filling these fields, you will have to choose your payment method. On proceeding to the next step, you can see that your shipping charge has been completely nullified as part of the promotional offer. In some cases, you will have to enter the code “February” or any other code which will be mentioned on the site for guidance. On entering the code, you can see that you have availed your free shipping order. And that’s it. You can get your favorite Kratom product delivered the very same day at zero shipping costs. If you are a regular Kratom user or someone who is living off remote places in the States, the month of February can bring you delight since Kay Botanicals provides free shipping of Kratom orders under their promotional monthly offer called Freebie February. February is fast approaching and you can make it more memorable for you with Kay Botanicals. You can also check on the site for other daily offers and new arrivals. Happy Kratom Shopping! !